64 channel Soundcraft Ghost console modified by Creation Audio Labs in Nashville, Langevin ic pres, Focusrite mic pres, Langevin Electro Optical Compressor/Limiters, Digidesign ProTools DAW with tons of plugins, ATC SCM20-ASLT Studio Monitors, Tascam and Alesis multitrack recorders, lots of outboard gear, large selection of tube stuff, Premier Drums, Fender, Ampeg, Marshall, Vox, Line 6, and Hiwatt amps, Yamaha NS-10 monitors, Baldwin piano, AKG, Rode K2, Sennheiser, Shure, Audio Technica, Sony microphones, digital editing. Check out these cool videos including the MTV Video "The Bite of Love"
the peacock flounders "Rage" MP3 Free Download!!! the peacock flounders "I Forget" MP3 Free Download!!! Click on the songs above to check out a free download of my band!!! 10. Wednesday August 12th Melody Inn 3826 N. Illinois ST. Indianapolis Indiana. 317-823-4707 w/Craig Bell's "The Down-Fi"
16. Friday March 19th at "Up or on the Rocks" 50 Union Place Hartford CT. 860-247-6257 The Rock WCCC 106.9FM and Budweiser Beer Show!! 26. Saturday October 23rd Two Boots 218 Fairfield Ave. Bridgeport w/Shrinking Violets 203-331-1377. 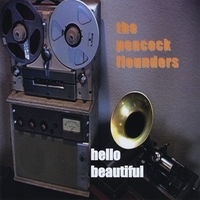 Our CD "Hello Beautiful" is available at CD Baby http://cdbaby.com/cd/peacockflounders and for download at www.itunes.com Check out Ron's band "the peacock flounders" by clicking on the thumbnail link below. There are lots of free downloads of Ron's music on the thumbnail links of his bands below. Check them out!!! F'n Colleen, Cameraface, Valley of Kings, Miracle Legion, Bleached Black, Chopper, Rope, Gnomes, Whipping Boys, Big Bad Johns, Baby Huey, Mad Haleen, The Furors, Last Supper, Shellye Valauskas Experience, The Sawtelles, Happy Ending, Hanna Cranna, The Dispossesed, Milk of Wonder, The Swaggerts, Big Fat Combo, Bad Bob, Malachi Crunch, 23 Hello, Yawnmower, Hoosegow, Dum Dum Boys, ADX, The Morfiends, Craig Bell, The Means, Gone Native, Go Van Gogh, Maureen Pender, Angry Beautiful, The Presidential Targets, Nap LaJoy, Rope, The Optics and many others. Playing trombone and alto saxophone for marching band and orchestra in the Hamden School System, Ron started playing in and recording rock bands while going to Fairfield University on a hockey scholarship in the mid 1970s. After college Ron moved to Newport Beach California to play bass in the punk rock band The Lobsters with his friend Robert "Trebor" Smith. 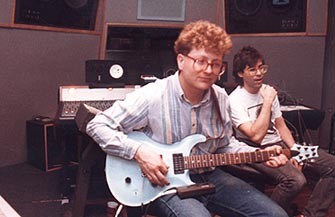 Upon returning to New Haven in the fall of 1980 he became friends with drummer Kerry Miller and formed The Astrobeats. Then in 1982 when Ron was doing live sound for New Haven band October Days, he and Kerry met Gabriel Cohen and formed the band Valley of Kings. 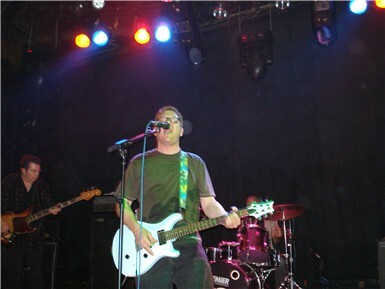 The band shared a loft with Mark Mulcahey and Ray Neal with Mark booking bands at the local nightclub The Grotto and Ron as the Grotto's house soundman. Ron and Kerry helped Mark and Ray start their band Miracle Legion playing bass and drums for their early recordings and shows. Ron worked in the late 80's and early 90's at Platinum Island Recording Studio, 676 Broadway NYC as an assistant engineer with now legendary engineers OZ Fritz and John Herman and owner Richie Kessler and worked on many major label albums by Meatloaf, The Replacements, The Ramones, PIL, Omar Hakim, and the B-52's. The photo here is of Ron and Oz at Platinum Island doing a guitar overdub for a Cameraface recording. Ron has a B.A. in Music and Sound Recording from The University of New Haven. He worked full time as Engineering Supervisor for LIN Television's New Haven ABC affiliate WTNH Channel-8 and UPN affiliate WCTX Channel-59 for 13 years and then for 13 years as an Senior Educational Rep for Music and Arts Inc. of Frederick Maryland. He currently works full time in the Preservation Department at the Yale University Library digitally reformatting Yale's rare and historic collections of audio, video and film.